Even though Lost has been over for year, I still love rewatching, and am always hoping that Damon Lindelof and Carlton Cuse will create a new LOST show. But until then, I've come up with three different shows that take place within the LOST universe that I would love to see on my TV. LOST One Year Later: Have You Moved On? 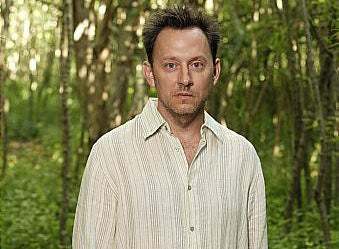 We look back at LOST one year after the finale airing on ABC. And we ask you if your thoughts have changed since you saw the Island one final time. Our annual Thursday column filled with everything a geek finds awesome. Awesome Lost/Doctor Who Shirt on Teefury today! If you've got ten bucks to spare I urge you to spend it on this sweet shirt. It's only available for 19 more hours, so sleep on it if you can, and then deicide in the morning. The shirt showcases an awesomely drawn Desmond and Faraday standing next to the Tardis.. It's so nerdy.. I've got to have it. Will you be checking out Teefurys latest design? During the final season, Tuesday was 'Lost' day, and every Tuesday, my group of Lost fanatics would gather and talk about last weeks episode. Everyone in the dorm knew not to bother us, or even dare talk during our hour from 8 til 9. It was the one day of the week where I had something totally awesome to look forward too.